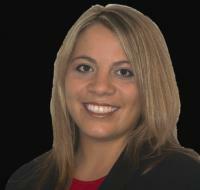 Melissa Cheladyn has been the Buyer’s Specialist for Gary J. Reggish and Associates since 2002. The duo has been one of the top producing teams in Metro Detroit and the surrounding areas. Melissa has a keen eye for the real estate business; beginning her career as an agent’s assistant, she has mastered the necessary skills to succeed. With 16 years of experience, she thrives with any challenge and has a mindset that failure is never an option. Melissa is a member of the National Association of Expert Advisors, an institution whose core values stem from responsibility, growth, value and leaders.